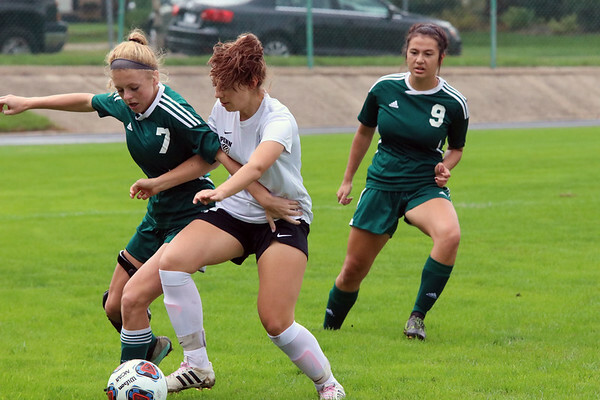 Junior Maddie Sorg of the Northridge Raiders and junior Allison Lankowicz of Penn battle for the ball in the IHSAA Class 3A girls soccer regional Saturday at Tallman-Beyrer Field in South Bend. Watching the play develop is No. 9 junior Mikayla Smith of the Raiders. Penn was a 4-0 winner.